The Indian Ocean has historically been a powerful communication channel for the spread of culture, global trade and commerce. Today, the Indian Ocean’s traditional status as a major source of livelihood is more valid than ever before, as it remains an important international trade highway. 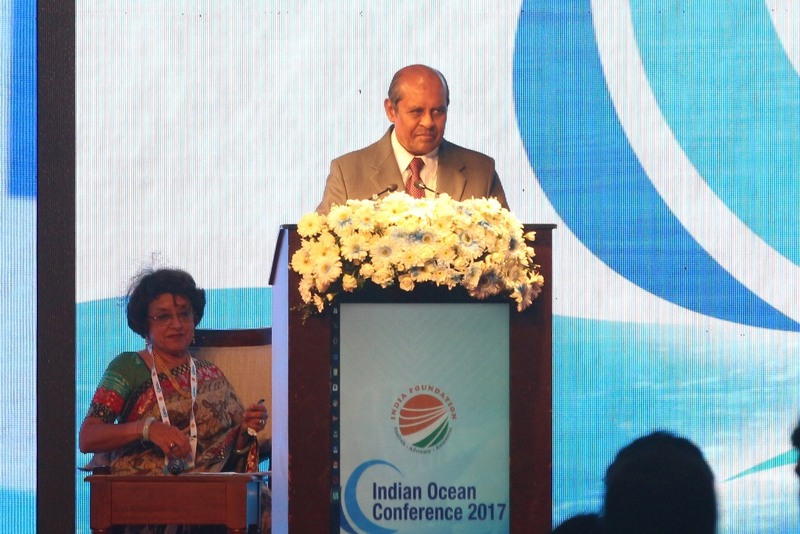 As an island nation, Ocean Affairs is of vital significance to Sri Lanka. We have for many years participated prominently in many international and regional initiatives related to Ocean Affairs. More significantly, we were closely involved from the outset with the Third United Nations Conference on the Law of the Sea at which a new legal regime for the oceans was developed. The situation in the world, particularly in the Indian Ocean, has undergone a major transformation since that time. The end of Cold War, and the shift towards globalization, benefitted the region’s economic thrust. However, several new challenges and threats to regional stability and security have emerged such as cross border issues, terrorism, piracy, drug trafficking, and environmental catastrophe. These challenges require the development of a common approach and commitment, by those who are present in the region. Our economies rely on the free and secure passage of maritime trade through the region. Therefore, we have a fundamental interest in fostering peace and security and ensuring a safe maritime domain for all. An Indian Ocean, Rules Based Order that respects the rights of all states to the freedom of navigation and over-flight, and ensures unimpeded lawful maritime commerce, in line with international laws and regulations, is essential for peace and prosperity in our region and beyond. A stable and secure Ocean order will not only build confidence and predictability among its users but also assist in combating maritime crime and ensuring the safety and security of our Sea Lanes of Communication. Sri Lanka’s National Economic Development policies have incorporated the Indian Ocean as a vital component in its Development Plan. The Blue-Green development strategy, outlined by President Sirisena, places the sustainable utilization of ocean resources at its centre. Our aim is to reap the benefits of Blue Economy by adopting environment friendly green development policies. The challenge that confronts us is to find a structure on how to sustain and promote peace, progress and prosperity in the Indian Ocean Region.